■DEF LEPPARD THE DEF LEPPARD E.P. ■koshi miura / eiichi kogrey good so good!! e.p. ■Yogee New Waves RIDE ON WAVE e.p. ■テンテンコ Wa・ショイ！ /Good bye,Good girl. ■Dj Yas feat. Craig G & K Dub Shine Night Walk 7"
■DJ Yas feat. Microphone Pager(Muro&TwiGy) Ready Go! 7"
■tha BOSS feat. 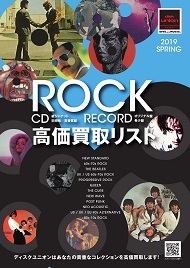 You The Rock★ & DJ Yas 44 Years Old 7"